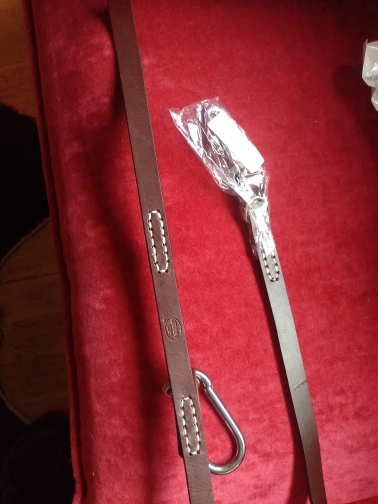 This is a high-quality leather leash, for large and medium-sized dogs, as it is featured in pictures. 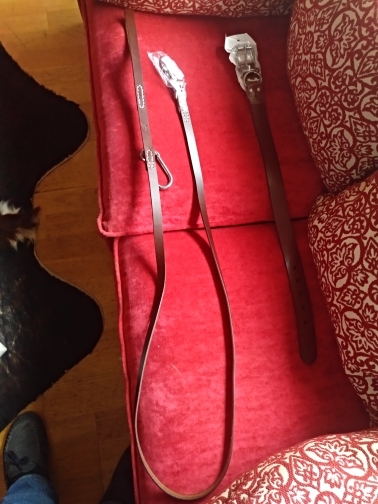 The leash is durable and very comfortable to use, it is also sutable for training. The seams are high quality and strong. This leash provides a great look for the big dog. Užsakymas atėjo registruota siunta per 17 d. Pavadėlis pilnai atitinka nuotraukas go aprašymą. This is a great product! Very sturdy for my big dog. Great product very fast, recommend the all. good leash. genuine leather. stitch is loose a little bit.